CONGRATULATIONS to all medallists of the 2014 RVB International Festival of Volleyball and THANK YOU to all participants for making it such a fantastic event! 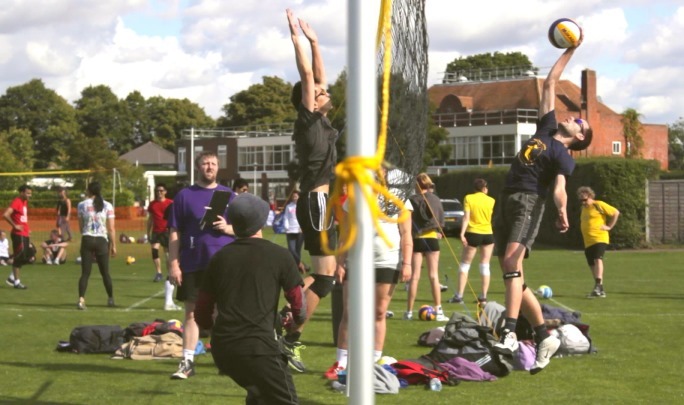 Once again Imber Court Sports Club in Esher (Surrey) was a stage for some seriously good volleyball. The sun was shining, the balls were flying and the teams were getting more and more competitive by the hour in the 6 aside competition. The medals were won, Champagne opened (and shared!!!) and our favourite band Gravelaxe rocked the club house into the Sunday night. Thank you for all the feedback and ideas on improving and expanding the Festival. We will start working on it right away! And the WINNERS 2014 are…. Your local/county indoor volleyball league re-starts on Monday 29th September and is open to novice, intermediate and advanced players offering fantastic value and great social atmosphere. As usual all matches will be played at a central venue Richmond College (Twickenham) on Monday & Tuesday evenings from 7pm to 10pm. The deadline for submission of application was last week (11th August) so if you wish to sign-up please inform Vera the league secretary contact@richmondvolleyball.co.uk your team name, email, and division. Sat 23rd, Sun 24th, & Mon 25th August 2014. Imber Court Sports Club in Esher, Surrey. Weather forecast – Sun, Clouds, Chance of Rain 10%. Next weekend is a long one. If you want to use this time to the full and fill it with lots of games, socialising and entertainment, then send us your entry form now and challenge the rest. 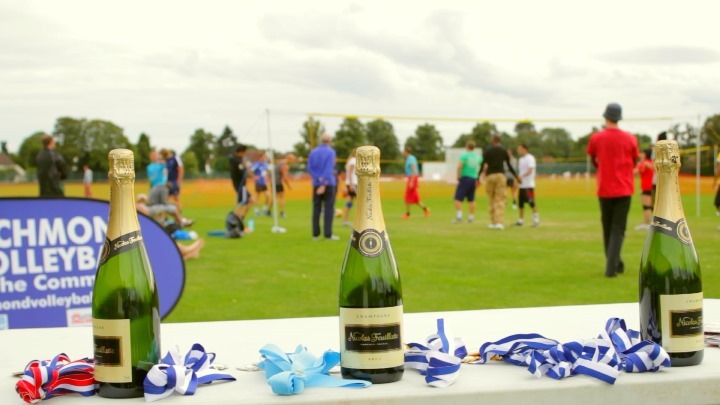 Winning teams get medals, prizes and champagne! And….live band and disco on Sunday evening – GRAVELAXE is back to get you moving and singing! PLACES ARE STILL AVALABLE IN ALL MIXED DIVISIONS.